Jason Kotarski is a busy guy. He’s a husband, and a dad, and a church planter, and a musician, and a game designer. His first published game—The Great Heartland Hauling Company—is a cool pick-up-and-deliver game. He was kind enough to let us interview him, too. 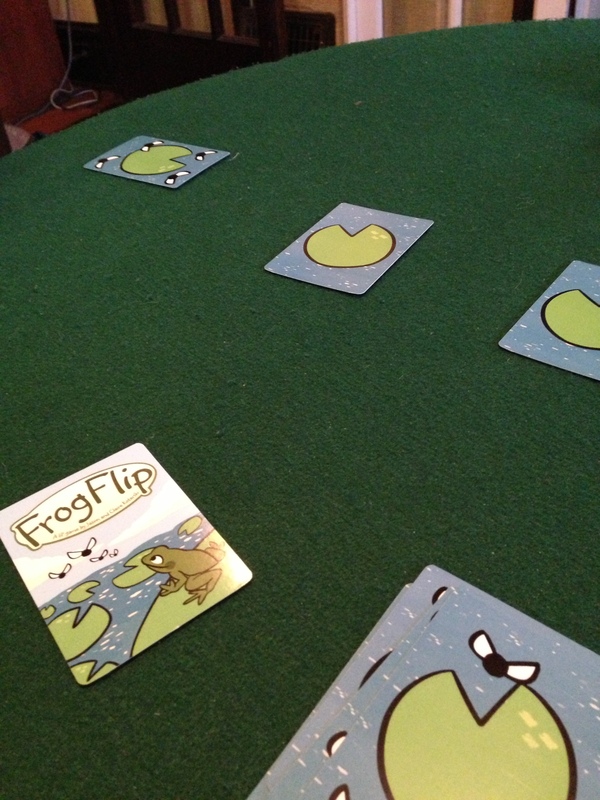 He’s got a new little 2-player card game in the works, and we’re going to give you our impressions of FrogFlip. Each of the Bug Score cards has a number of bugs on it—either one, two, three, or four of them. On their turn, each player will attempt to flip the frog to the Lily Pad card that corresponds to the number of bugs on the top card of the Bug Score stack. 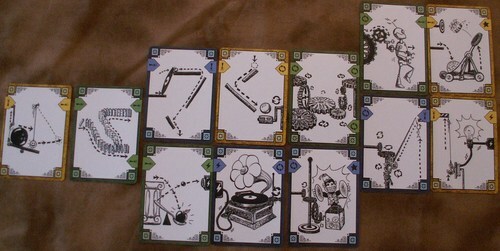 So if there are two bugs on the top card, I’m trying to flip the frog onto the Lily Pad card that’s two away from me. If I miss, my opponent is trying to flip the frog onto the Lily Pad card that’s two away from her. Your hand can’t pass the first Lily Pad card, and if the frog falls off the table, your opponent gets two turns in a row! Family? Definitely! It’s just the right depth for a quick game with the kids. The only downside is that it’s only for two players—though there are rules for a 4-player variant that requires two sets of the game. Youth group/party game? Probably not! It looks like a kids game, so I don’t think teenagers would like this much. And since it’s two-players-only, I’m unlikely to even try this at a party. Firestone—This is yet another example of someone creating a “micro-game”—one that’s fully contained in a very small package. I like that trend, as it keeps the price down and the portability high. Jeremiah – Agreed, the brevity of the game is a highlight too; we can play best of 3, 5, 7, and so on, depending on how close it is to bedtime when we start playing. And my boys can teach it to others (friends, grandparents, etc) without my help. They really like it when that happens! 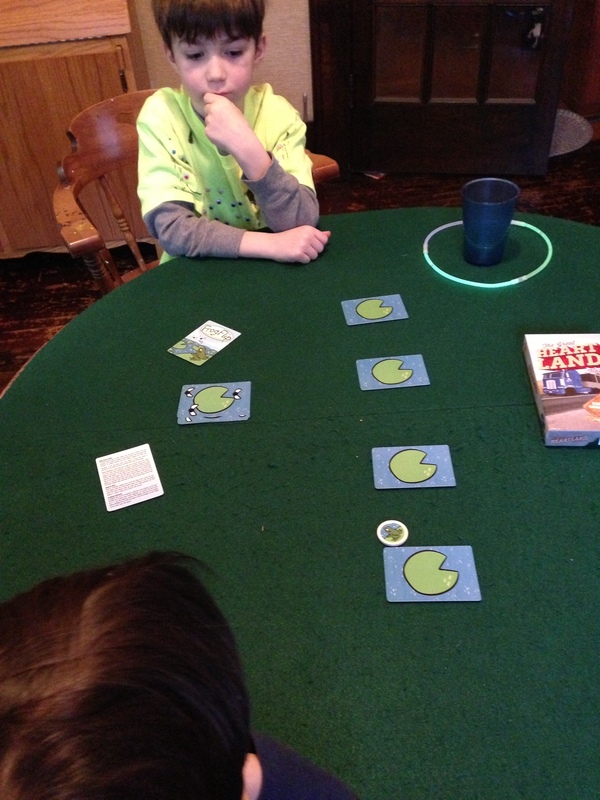 Firestone—The 5-year-old loves it, and the fact that the frog only has to touch the card means he has a chance. My 8-year-old likes it, but he’s sadly getting to the age where he’d rather play deeper stuff. But he does love playing with his younger brother, so we’ll see how long that lasts. Getting that frog where you want it isn’t as easy as it sounds! There were plenty of times it would go off in some crazy direction—and I’ve had years of coin-flipping experience! I think this adds to the fun, though, as it keeps kids competitive with grown-ups, who have obviously inflated opinions of their frog-flipping abilities. Jeremiah – I feel like we’re in the same boat. 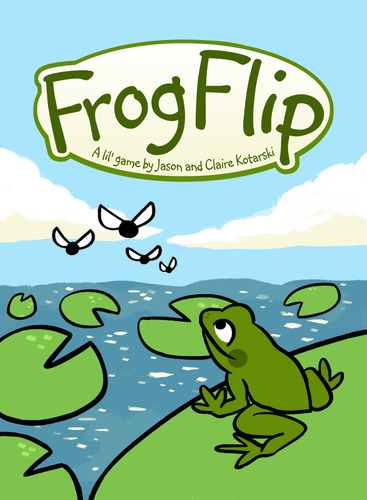 Frog Flip is definitely going to hit closer to home for the 4 or 5-year-old range; the novelty of the coin flip is still a draw to the older kids. 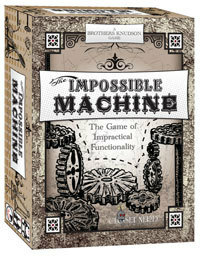 The flipping mechanic seems to level the playing nicely, and the theme ties in perfectly with the game play. Firestone’s Final Verdict—This is an adorable little family game. I fear it has a very short window where it will continue to interest my boys, but I’ll happily play it until that window closes. 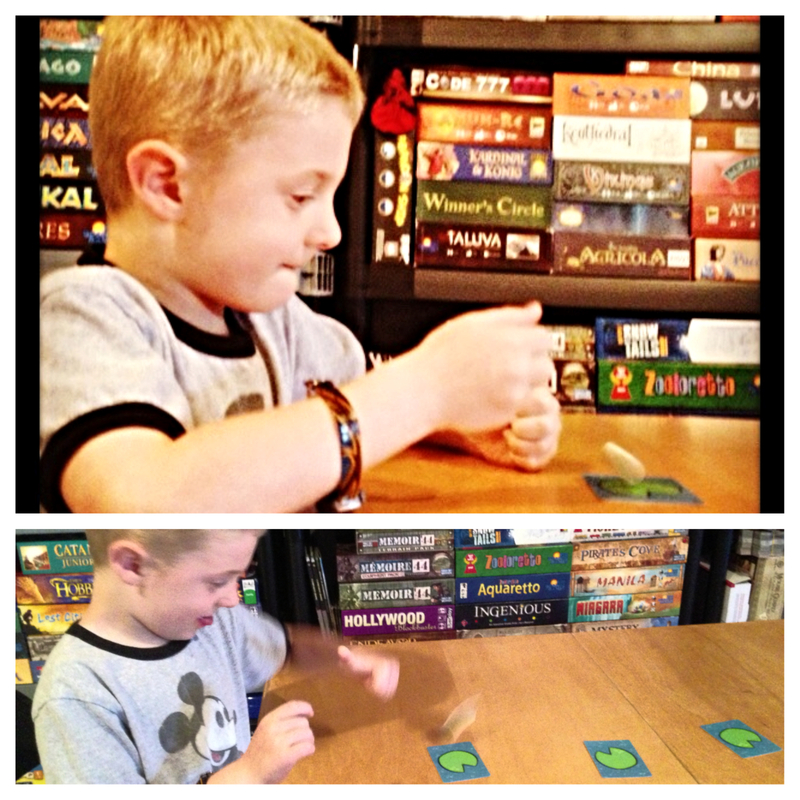 Jeremiah’s Final Verdict— This is a fun little game, and it did give me the opportunity to teach my boys how to properly flip a coin. (I guess that’s a skill I’ve neglected to teach them in my parenting.) The boys had fun with it, and like I said, it’s a great length for the times we don’t have time to play a lengthy game before bedtime. My oldest is advancing into games like Heroclix and Pokemon so I, like Scott, don’t know how long this will hold his attention, but it’s still right in my youngest’s wheelhouse and he loves it! Jason just announced this week that the game’s been picked up by Michael Fox’s Sprocket Games. Watch for a Kickstarter campaign in July—and we’ll try to get Jason to sit down for another interview. Thanks for reading!